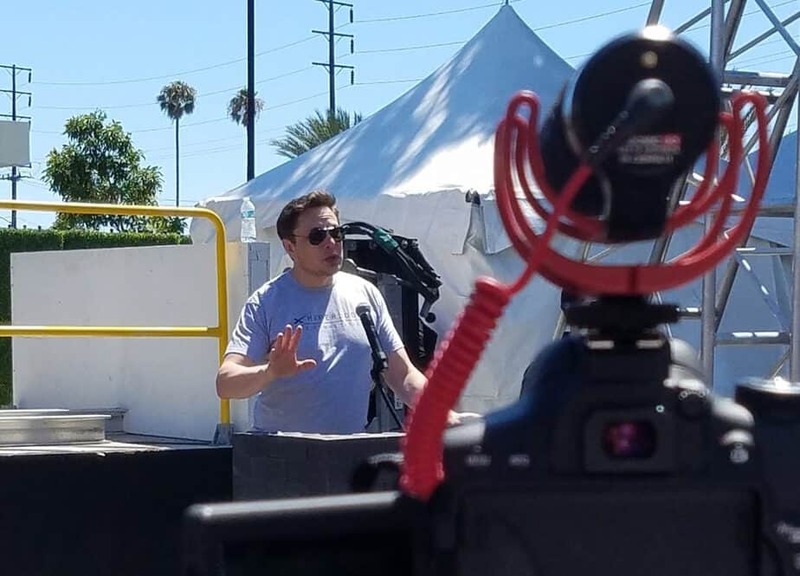 The third Hyperloop Pod Competition took place yesterday under the burning Californian sun at SpaceX located in Hawthorne. Sierra was there to support the team we sponsor, Spartan from San Jose State University. And we got to see a new speed record. 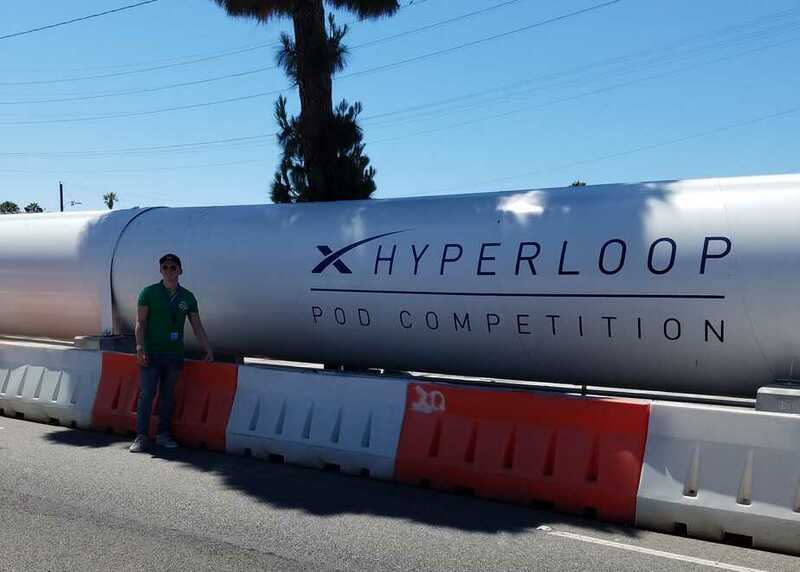 Dragon was attending the Hyperloop Pod Competition too. Ever since Elon Musk launched the Hyperloop competition, students from all over the world have been working on making this concept a reality. Just so you know, the speed of light train that will connect San Francisco to Los Angeles in only 35 minutes is not ready yet. But this third competition weekend established a new impressive speed record. If you have been following the competition from Day 1, you won’t be surprised to hear that this speed record was set by Warr Hyperloop, the German team. The engineering students from Munich were, as usual, at the top of their game yesterday, as the teams were judged on maximum speed. As a reminder, they were awarded the prize for the fastest run during the first competition weekend in January 2017 going 58 mph. During the second competition weekend last year in August, their capsule reached 201 mph in the 0.75-mile-long tube. And less than one year later, they set a new speed record of 290 mph. Unlike the previous Pod Competitions, all the prototypes were self-propelled this time. 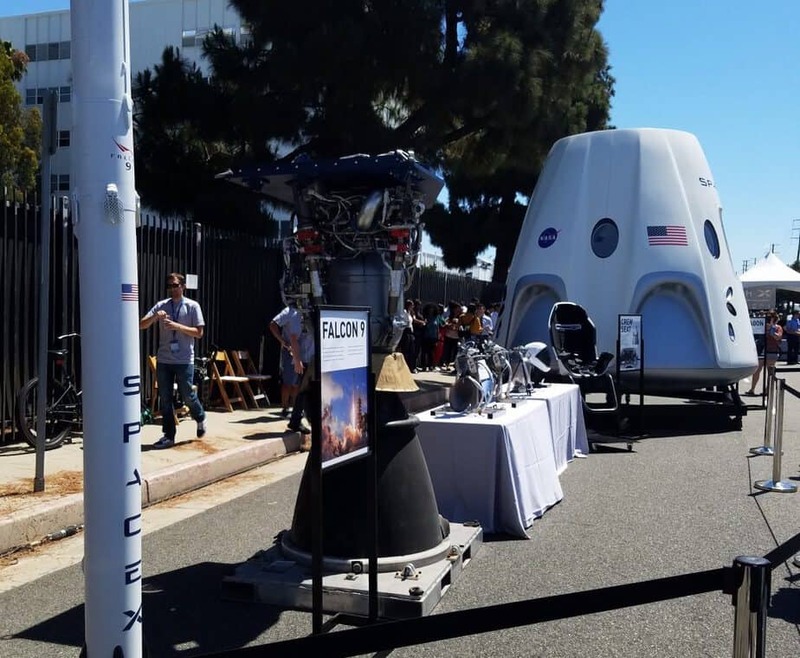 During the first two weekends, the capsules could benefit from a SpaceX-built pusher vehicle. Delft University – who already won the prize for the best-designed capsule and raced on the track – topped 88 mph yesterday. EPF Loop, the Swiss team, reached 55 mph. 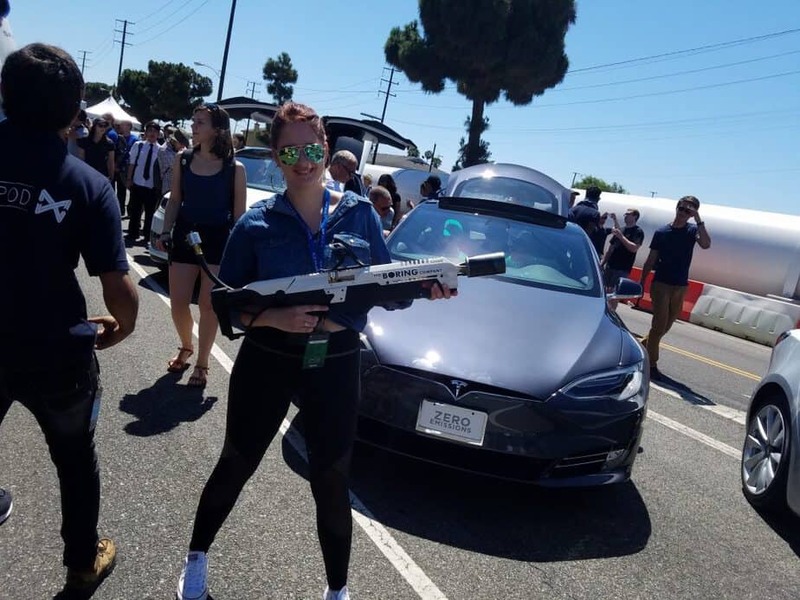 Since it takes about 45 minutes to pop the air out of the Hyperloop vacuum tube, SpaceX set up some pretty cool activities to keep the attendees busy. Ping pong, foosball, giant Connect 4, giant Jenga, photo booth, hologram experience, the three Tesla models, the Not a flamethrower, food trucks… And we have to mention the Spazmatics, an 80s cover band who sang the funniest cover of My Heart Will Go On! This is Not a flamethrower! Spartan had a booth at the Hyperloop event. Just recently, we decided to sponsor this team from San Jose State University who was selected for the levitation competition. Unfortunately, the students came across a series of problems. Their prototype pod did not pass the safety tests due to broken parts they could not replace in time. However, being able to make it to the competition is an impressive performance for this team of more than 40 students. They come from all kinds of different departments: Engineering, business, marketing, design, etc. It has to be stated that this was their first time working on the Hyperloop project. So congratulations to them! 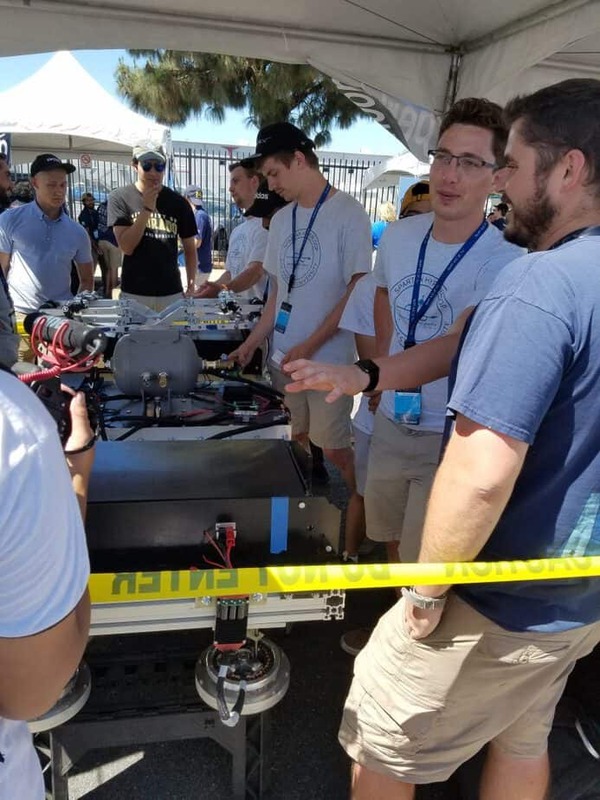 Thomas Baker, Spartan’s Vice Chair and Lead Propulsion and Levitation Engineer, said that the team will learn from this competition. They will come back for the next one. No date has been announced yet but it should be next year for sure. And we will be there!